Rioned’s recent move to new 10,000 sq ft premises in Thetford has meant increased capacity for van-pack jetter installations and the full conversion of vehicles in the custom-built workshop area. In response to demand for quick vehicle turnarounds, the company is purchasing a range of commercial vehicles, which will be fully equipped and ready to roll within hours or days of an initial sales enquiry. 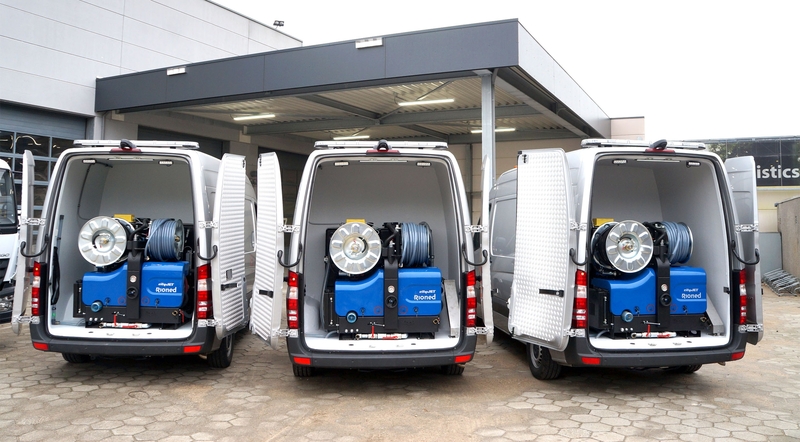 The initial stock will include 10 vans installed with CityJet or AquaJet+ jetters and fully converted to meet drainage contractor equipment storage and health and safety requirements. 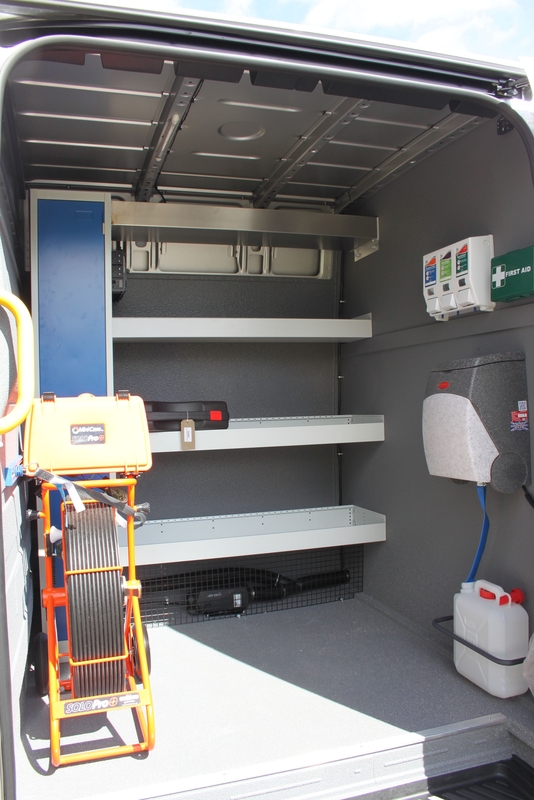 Along with the installation of the class-leading jetting machines, the van conversions will comprise bulkhead partitions, ply lining, chequer plate flooring, storage shelving, rod tubes, internal LED lighting and external beacon lighting. There will initially be two vehicles models available, the Peugeot Boxer and the Ford Transit, both with the latest Euro 6 engines. Rioned offer a range of materials, storage and welfare solutions for drainage vehicle conversions. Rioned works closely with the UK’s leading vehicle and asset finance specialists to help customers arrange bespoke finance for single or multiple converted vehicles. Typical packages are arranged over 24, 36, 48 and 60-month leasing periods. 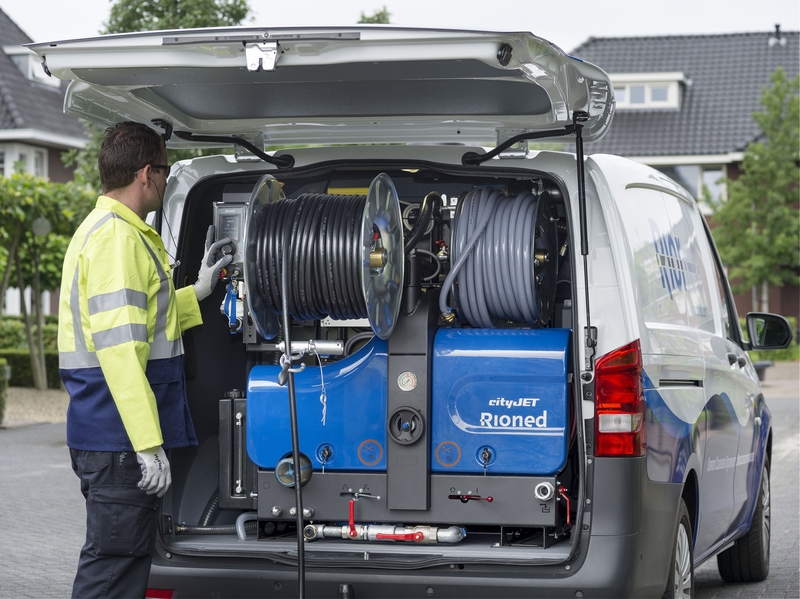 As an example of a jetter and van conversion package for the new “ready-to-roll” fleet, a CityJet machine installed in a fully converted Peugeot Boxer van would be £183 per week over 60 months. The new “ready to roll” fleet will be fitted with CityJet or AquaJet+ high-performance jetting machines. Rioned’s new centre of UK operations is now the hub for jetter spares and parts, and the large workshop area includes dedicated bays for jetter installations, refurbishments, servicing and vehicle conversions. The company would like to extend an open invitation to customers to visit the site and meet the team at FreeFlow House, Stephenson Way, Thetford, Norfolk, IP24 3RU.